You’re all packed and your holiday is paid for, but how do you make sure your spending doesn’t spiral out of control when you reach your destination? We’ve put together a few money saving tips to ensure your Euros last longer. Once you’ve decided how much money you’re taking on your trip, set a budget so you know how much cash you have to spend per day. Try and stick to this so you don’t end up with nothing left in your pockets on the last few days as this is when you may be tempted to spend on credit cards or withdraw extra money from the cash point. This will only leave you with bills to face when your holiday is long forgotten. Research your chosen destination as local knowledge will help you pick out the best places to go and give you a rough idea of how much things will cost when you’re there. Often the best places to eat and drink are just a few streets away from the main tourist traps and they can be much cheaper. 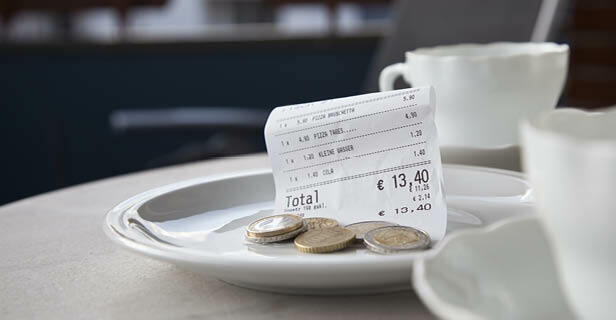 Also make sure you understand the etiquette of tipping, especially in places like America, as this can really increase your restaurant or bar bill. Using public transport is also a cheaper way to explore the destination you’re visiting or save on expensive taxi rides by walking or cycling, especially on city breaks. It’s a great way to find places off from the normal tourist trail. If you’re staying in self-catering accommodation try and avoid the small local shops for your food and drink. Although they are often the most convenient, a trip to the nearest large supermarket to stock up on essentials, will save you in the long run. Alternatively find out where the locals shop, it’s bound to be cheaper than the tourist spots. Why not try the local produce rather than sticking to the brands you know from home. Local beer and wine is often really good value and it gives you a chance to try something a little bit different. Watch out for those extra costs that mount up. Things like sun loungers and umbrellas on the beach can be costly. If you do need some shade buy a cheap parasol at the local shop and save yourself spending everyday. Sun creams can also be expensive on holiday so stock up on the offers available on our high streets before you head off to the sunshine. Rather than eating lunch out everyday buy something like bread, meat and crisps and eat them on the beach. A picnic is far more exciting for little ones. Finally why not consider an all-inclusive holiday? They may seem expensive at the time of booking, but when you think about all the cash you will splash on food and drink while you’re away, it can often be a cheaper option. All-inclusive options will allow you to monitor exactly what your holiday will cost and ensure that all the ice creams and gin and tonics by the pool are covered.